The PVS-IS4 is a professional vent screen product designed to protect 4″ PVC vents from intrusion by animals and insects. This American made vent screen works by fitting inside a standard four inch PVC hub or coupling and prevents animals or insects from gaining access into your home or business through high efficiency appliance vents. The PVS-IS4 maintains such a high rate of airflow that boilers, furnaces and hot water heaters can be used while the PVS-IS4 is installed and guarding your high efficiency appliance vents. An unprotected 4″ PVC pipe vent is an invitation for trouble. Our PVS-IS4 vent screen is designed to provide high efficiency furnaces, boilers and hot water heaters with maximum protection against insects and rodents. As with all of our screens, we only use the highest quality American made materials to manufacture our vent screens in the United States. The PVS-IS4 is made of a high quality 316 stainless steel mesh screen that maintains 70% airflow, which in fact surpasses many competitors’ rodent screens. This stainless steel screen is enclosed in a lightweight but durable 6061-T6 aluminum shell, making the entire screen highly resistant to corrosion and damaging UV rays. The PVS-IS4 is designed to fit inside a standard four inch PVC hub or coupling. To make the installation process easy, we include one 304 stainless steel internal wire clip to securely hold the PVS-IS4 in place with each screen ordered. The entire installation process takes less than one minute per vent, making it one of the easiest vent screens to install. Since four inch PVC vents have such a large opening, they are more susceptible to intrusion by larger outdoor animals such as squirrels, raccoons in addition to birds. All of these animals pose risks to not only property, but can also jeopardize the safety of those occupying a home or business. The PVS-IS4 vent screen will keep these animals out in addition to bees, wasps and other insects that prefer to nest inside a dwelling with a stable climate. For best results, only use the PVS-IS4 during spring, summer and fall when temperatures are above freezing. During winter, we recommend using the PVS-RS4 4″ rodent screen. Because of the free internal wire clip we supply with each screen purchased, seasonal screen changes are quite easy to complete. All of our PVS series vent screens are designed to fit into PVC hubs. The PVS-IS4 has an outside diameter of 4.470″ and is designed to fit into any standard 4″ hub or coupling with an opening of 4-1/2″. Customers that obtain an outside diameter reading of 4″ are typically measuring a 3″ PVC hub. This can often be confirmed by viewing the embossed size that most manufacturers mold into their hubs. 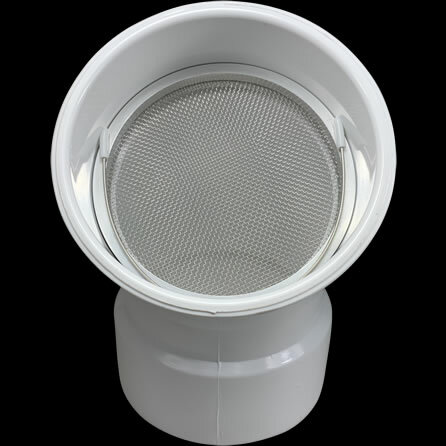 Those who get an inside diameter reading of 3.500″ should instead purchase our PVS-IS3 vent screen for proper fitment. 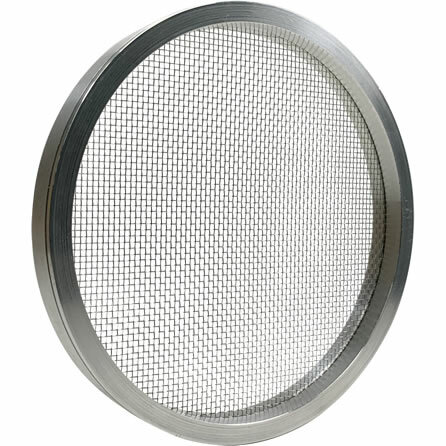 Please visit our vent screen sizing page for additional help in determining what size vent screens you may need for your boiler, furnace or hot water heater.